Many women think that heavy menstrual bleeding is normal, but it’s not. If your periods are heavy enough to interfere with your activities or to make you dread your period, it’s time to consult with the team at Westmoreland Obstetrics and Gynecologic Associates. Their board-certified doctors have years of experience successfully treating the underlying cause of heavy bleeding. But if bleeding doesn’t improve with treatment, they may recommend endometrial ablation. To schedule an appointment, call one of the offices in Lake Bluff or Grayslake, Illinois, or book an appointment online. Endometrial ablation is a procedure that removes a thin layer of the uterine lining. The doctors at Westmoreland Obstetrics and Gynecologic Associates perform an endometrial ablation to treat heavy uterine bleeding that hasn’t responded to more conservative treatments like medication. You should not have an endometrial ablation if you plan to have children. After the uterine lining is removed it’s hard to get pregnant and, if you do conceive, you’ll have a high risk of miscarriage or other complication, thus a reliable method of contraception is recommended. When might I need an endometrial ablation? If you have one or more of these symptoms, schedule an appointment so your doctor at Westmoreland Obstetrics and Gynecologic Associates can diagnose and treat the underlying cause. Heavy menstrual bleeding is caused by several gynecologic problems. The lining of your uterus, the endometrium, may become too thick. This problem develops when you don’t ovulate regularly, which is often caused by polycystic ovary syndrome or hypothyroidism, or perimenopause. Other underlying causes of heavy menstrual bleeding include uterine fibroids or polyps, adenomyosis, hyperplasia, and uterine cancer. How do gynecologists perform an endometrial ablation? 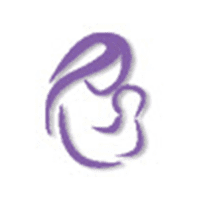 The doctors at Westmoreland Obstetrics and Gynecologic Associates are experts in many different techniques. Endometrial ablation can be performed using freezing, a heated balloon or fluid, microwave energy, or electrosurgery. However, they prefer to use NovaSure®, which treats heavy bleeding with a quick, 5-minute treatment. NovaSure is a medical device that uses radiofrequency (RF) energy to remove the uterine lining. Your doctor inserts the thin NovaSure wand through your cervix and into your uterus under anesthesia. Once the wand is in place, it releases netting that expands to fit the size and shape of your uterus. The device sends out RF waves, which heat and eliminate the lining. As a result, menstrual bleeding diminishes or stops. If you experience heavy menstrual bleeding, the doctors at Westmoreland Obstetrics and Gynecologic Associates can help – call the office or schedule an appointment online.